At about 12.35pm today, I was onboard SMB5889E, 979M. As we exited the highway, there was a lorry that broke down at the traffic junction. 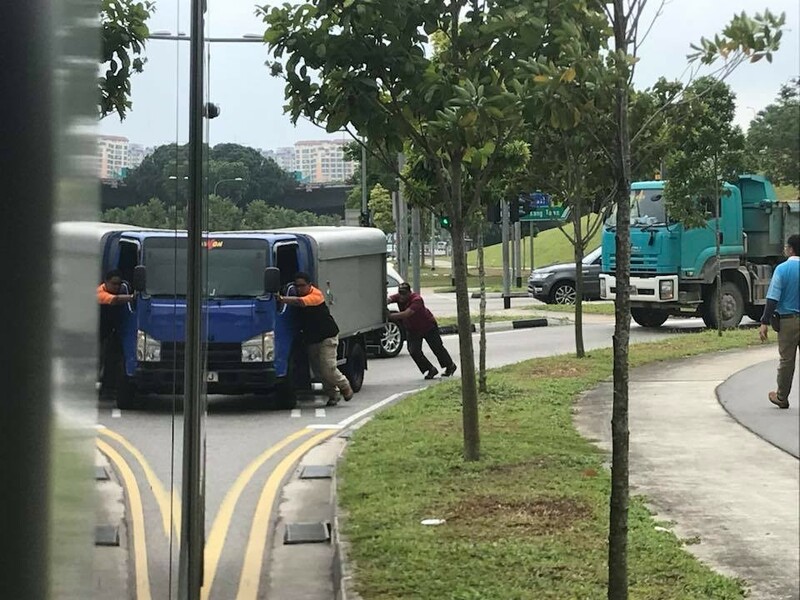 When the bus captain saw what has happened, he quickly pulled over to one side, told the passengers that were on the bus to give him a few minutes, and he quickly went over to help the 2 guys to push the lorry to a safer place. Once he was done helping them, he quickly rushed back to the bus and continued the journey. I am very impressed with his professionalism and also touched by his actions because it was his first instinct and he did it very swiftly. On top of his kindness, his selflessness and thoughtfulness is worth more than just a commendation. Next Article PATHETIC PUNK SEEKING ATTENTION BY THROWING OFO BIKE FROM BRIDGE!